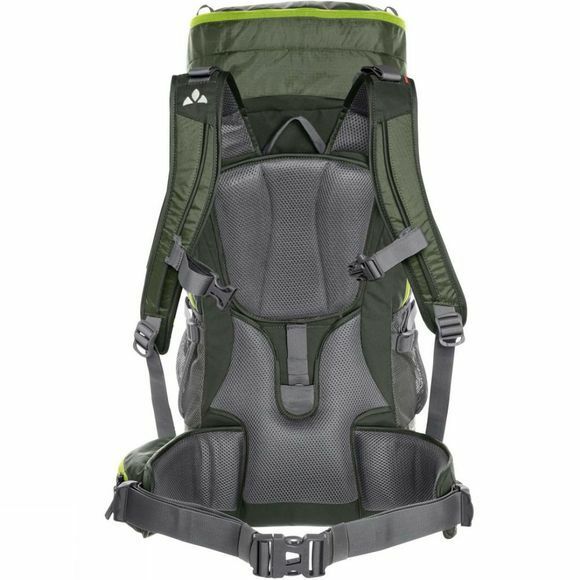 A backpack for the first big trekking tour! 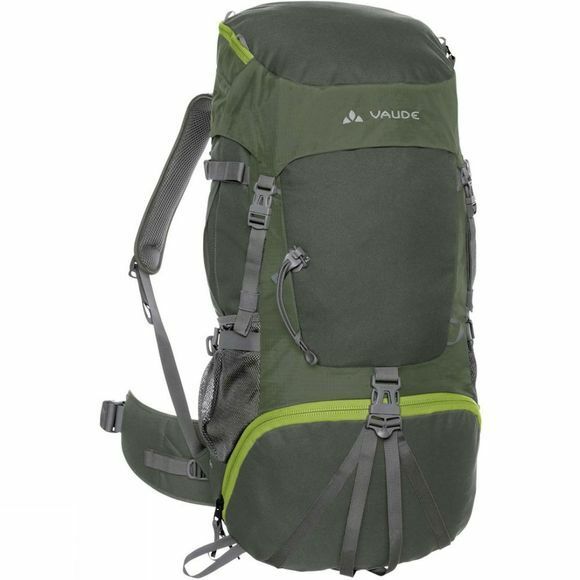 The Hidalgo 42+8 Rucksack from VauDe offers everything that a fully outfitted trekking backpack needs: enough space for a sleeping bag, insulation pad, change of clothing and food, a height adjustable lid with lid pocket, compression straps, side mesh pockets, volume expansion and much more. Thanks to the new, fully adjustable Tergolight suspension system the load is evenly distributed on the shoulders and hips – which keeps 2nd generation outdoor fans longer on tour!